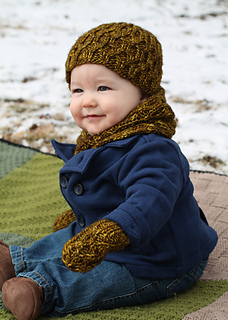 Your favorite baby or child will stay warm in style in this bulky-weight beanie that flies off the needles. Perfect for a last minute gift or when the snow is falling outside and you need a hat fast! 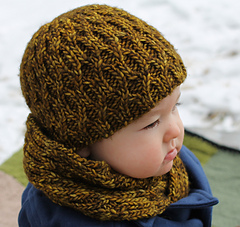 The ribbed Cross Pattern is very stretchy, so each hat should fit a range of head sizes. 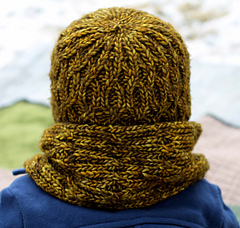 Pattern includes both written out and charted directions for the cables. Baby (Toddler, Child). Shown in Baby size. Important Note: Make sure to check your gauge carefully, as skeins of this yarn can vary in thickness.